I catch the Boris bus with its decommissioned back door - declared impractical and too expensive, as we drive East, past ill-maintained council estates and the homeless – ever more noticeable on the streets. In a good mood yet? It’s hard not to consider everything that’s happened in the world between the two albums from The Good, The Bad, And The Queen – the first one, eleven years ago, spoke of the Iraq War, tidal waves, and a ‘soggy little island full of mixed up people’… well, it turns out that those mixed up people held a bit more sway than everyone thought. When Damon Albarn and co walk out onto the stage at EartH in Dalston, it’s into a room filled with people wondering what the future holds for the aforementioned soggy little island. The venue forms a perfect backdrop – a beautifully run-down theatre, its former glory peeling off the walls - though one would hope that European rules on health and safety have been observed, for the time being anyway. It’s worth remembering that the ‘and co’ I mention include a former member of The Clash (Paul Simonon), a member of The Verve (Simon Tong), and one of the finest Afrobeat drummers in the world (Tony Allen). From the off, they’re all exemplary, moving through the entirety of the second album with a finesse that only an innate musicality could accomplish, while Damon, in his red DMs, spins around the stage – ever the frontman – occasionally taking a seat at the piano. After all these years, he’s still a force of nature – if more front men took a cue from his rule book instead of Johnny Borrell’s, maybe guitar bands would still be relevant. The crowning glories on the new album (possibly one of Albarn’s most consistent and complete works to date) also provide the highlights tonight - 'Lady Boston' is a battered sequel to ‘This Is A Low’, and ‘Ribbons’ may be one of the best things Albarn has ever written. Witnessed live, it makes you realise that ‘Merrieland’ is a ‘Parklife’ sequel in all but name, only said park is overgrown, unkempt, and full of dog turds because the council’s funding has been withdrawn. All that’s left is a pothole-riddled crumbling playground and a rusty bandstand that the kids won’t go near because everyone says it’s haunted. Seriously – in a good mood yet? I was expecting a speech at some point - an impassioned plea a la The Brit Awards 2018 – but he would have been preaching to the choir tonight. Instead, he lets the music do the talking, the bafflement and punch-drunk nature of a nation in crisis swirling around us, reaching its nadir - or crescendo - with ‘Last Man To Leave’. But instead of a bleak tone which could easily come from the current climate, the music and the performance was joyful – the band are still playing as the ship goes down. This includes Damon singing ‘80s’ life through the medium of a ventriloquist dummy with a Wolverhampton accent… I mean, why not? All bets are off. 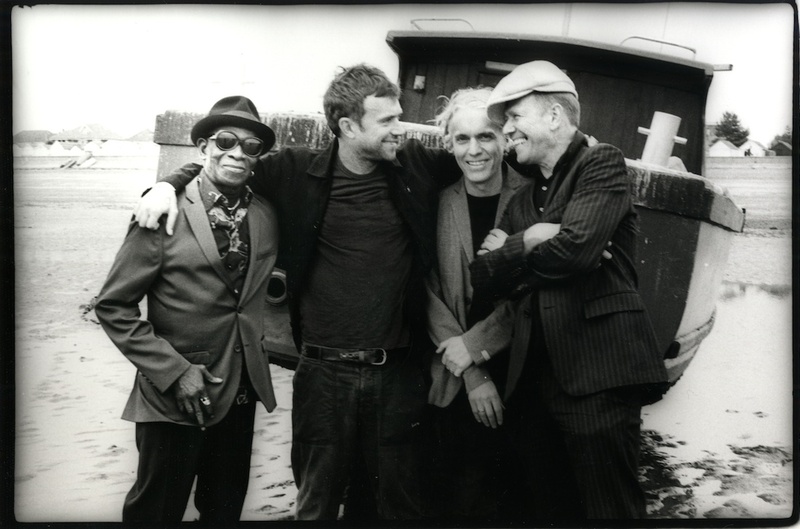 And, after the final chords of debut album closer ‘The Good The Bad And The Queen’ floated into the dilapidated rafters, I realised that all this time, for almost 30 years, Albarn has been the narrator for the final act of the British Empire. But bloody hell, he’s going down fighting – finding ways to go solo.